How Do I Find Someone to Mentor Me? I am not sure if you know who I am, but I was one of the participants in your singles conference at ________. 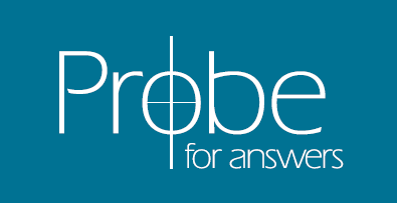 I just spent some time on the Probe website and was reading one of Lou Whitworth’s articles on being God’s man (king, warrior, mentor and friend). I know you spoke to us about having a mentor in your life. Since then, I have heard two of our pastors and Chuck Swindoll speak about the need for mentoring as well. I am really trying to allow God’s will to direct my life and this subject keeps coming up. I believe this is a step He wants me to take, but I am not sure how to go about it. Would it be possible for you to help me find a mentor? If not, would you know someone who could help me? Any assistance you could provide me is be sincerely appreciated. A mentor generally needs to be someone who is at least 10 to 15 years older and someone whose walk with the Lord you respect. Asking someone to be your mentor can be a little intimidating. But just asking if you can meet together to pray and enjoy some fellowship sounds a lot more doable to other men. Is there anyone you admire from afar? If no one comes to mind I would suggest inquiring of a pastor for suggestions. They often know of older saints who would be willing to enter into this kind of relationship but don’t know of anyone interested. It’s a real problem in the church and there are a lot of men willing to be mentored but a shortage of those willing to share their life’s lessons with someone younger (often for fear of not looking so good in the process—a mentor needs to be real enough to admit failures but also have a healthy view of their strengths). They have no model to follow themselves. All that to say it is not likely that this will be a quick and easy search. Above all pray for the Lord’s direction and for Him to prepare someone even now. I commend you for sensing this need and reaching out to try and fill it! "How Do I Convince My Friends to Be Saved?"